After a long (& rainy) winter, I’m so thankful to see signs of spring coming! 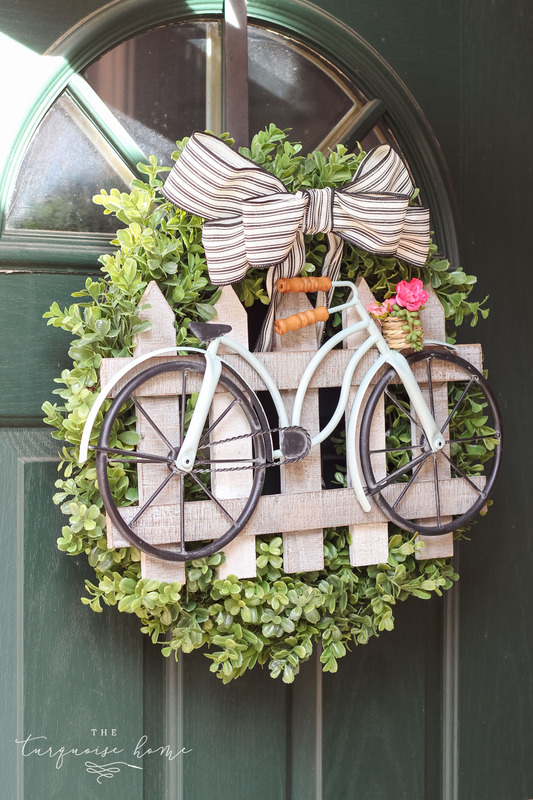 These floral inspired decorations get me so excited for the spring season right around the corner! 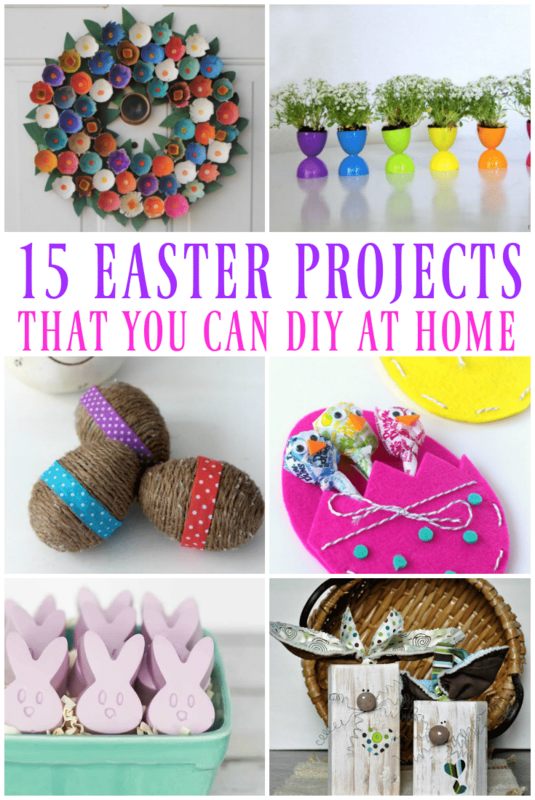 A special welcome if you’re joining me from Krista’s blog, The Happy Housie! 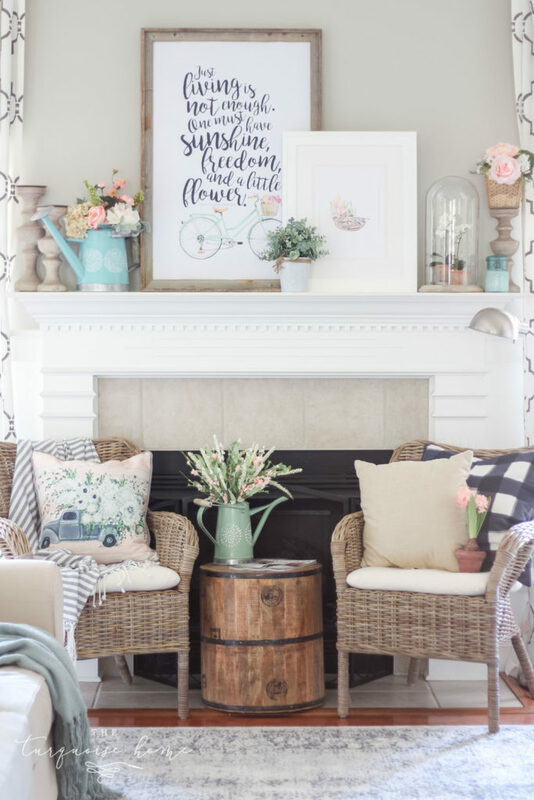 I’ve been a long-time follower of hers and she’s a turquoise lover as well, so I know you will LOVE her home as much as I do! Happy Monday, sweet friends! 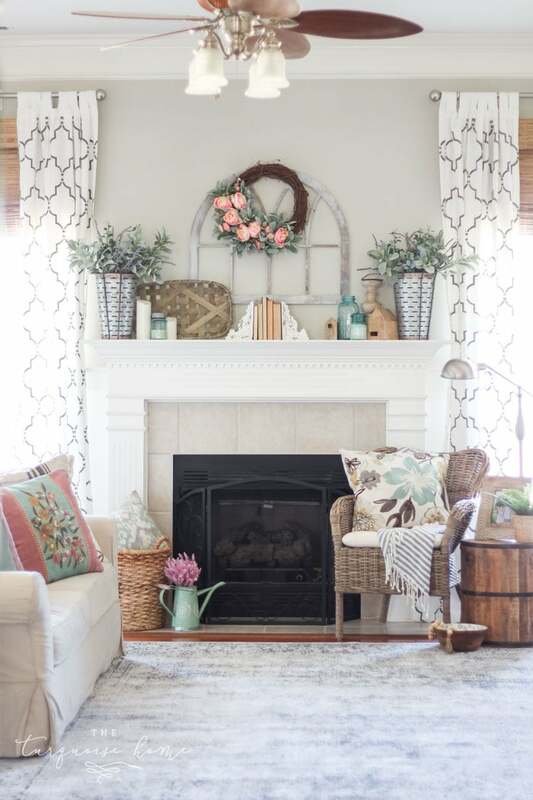 I’m so excited to finally have my house decorated for spring and ready to share it. I posted about this earlier last week in my Instagram stories, but it’s always a fun challenge for me to redecorate for each season. I like to find new ways to use old items and insporate new ones. 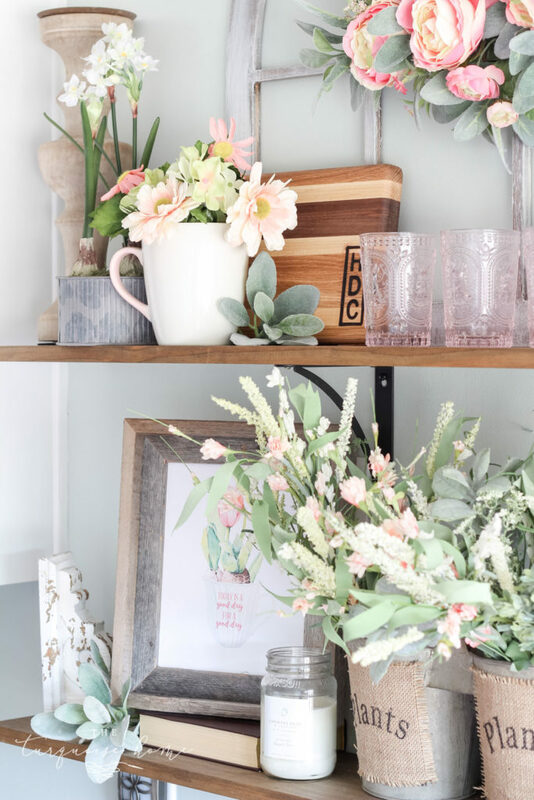 This year I looked around and realized I have more faux flowers than could fill a faux flower shop, so I just went with the look. 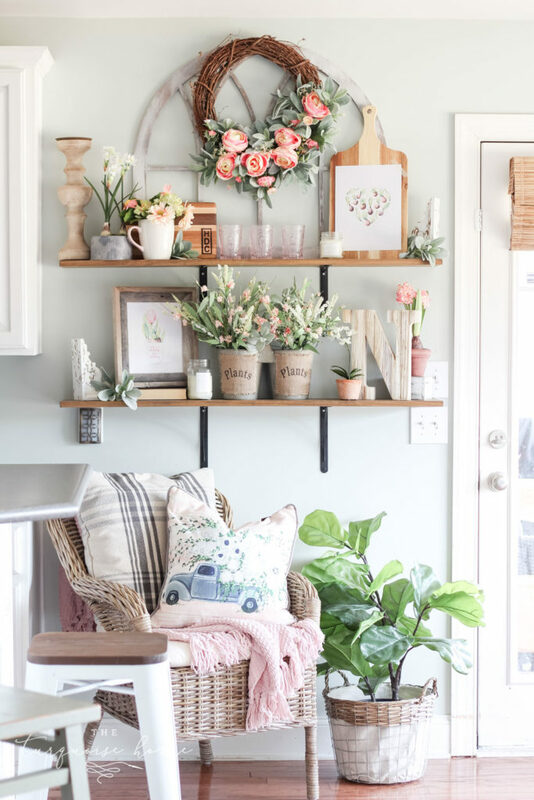 LOL It’s a flower shop spring home tour, if you will. 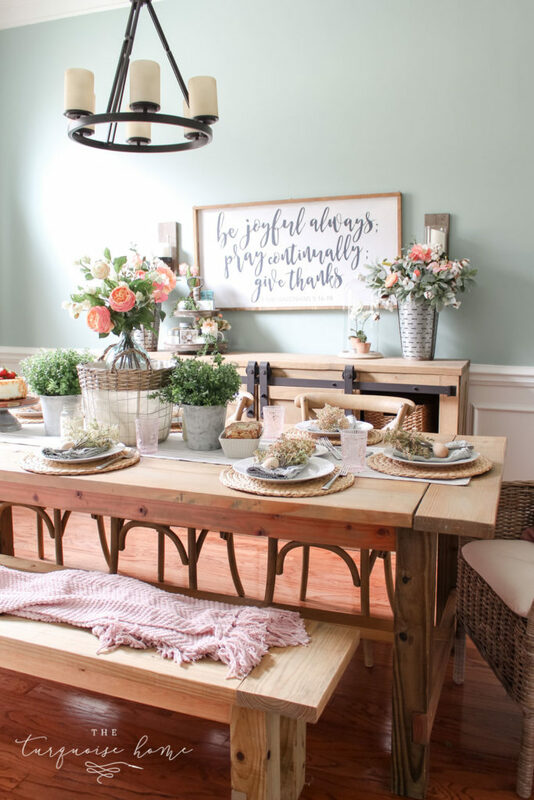 Last week I shared my spring tablescape with lots of florals. I thought I’d give a little bit of a closer look at my tiered tray. I usually keep it all dressed up in the living room, but I moved it into the dining room this time and I like it here for now. I stuck some faux blooms in my lambs ear and cotton stem galvanized buckets. I keep the lambs ear and cotton stems in there year ’round and just change up whatever else I put in there depending on the season. In the summer I add lavender and at Christmas I add pomegranates. 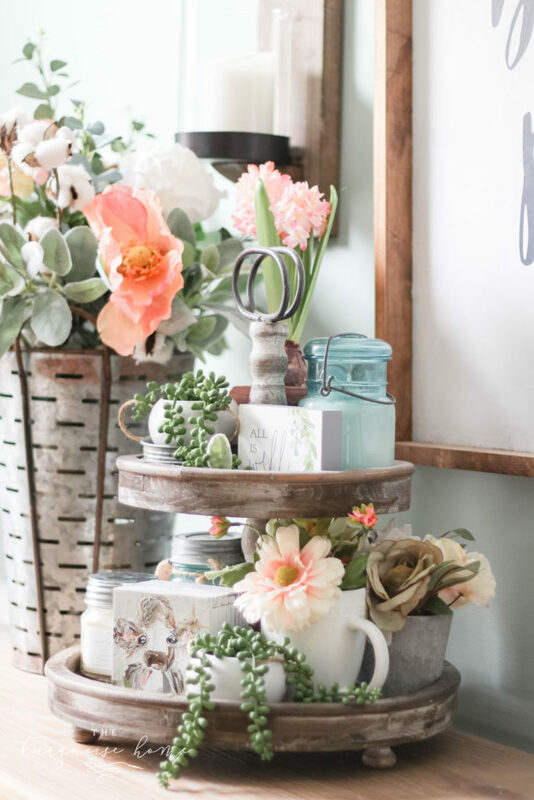 It’s a great arrangement that transitions well to any season. 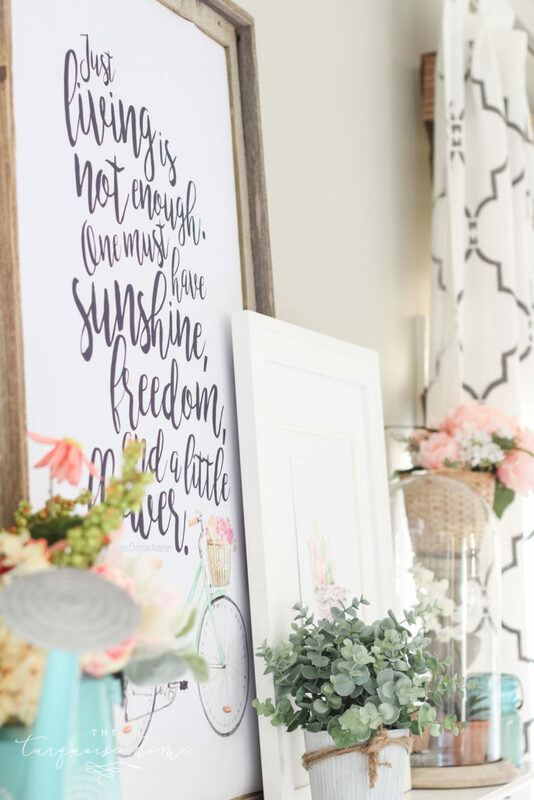 In the living room, I blew up one of my new spring free printables into a 24″ x 36″ poster and put it in a frame I already have. 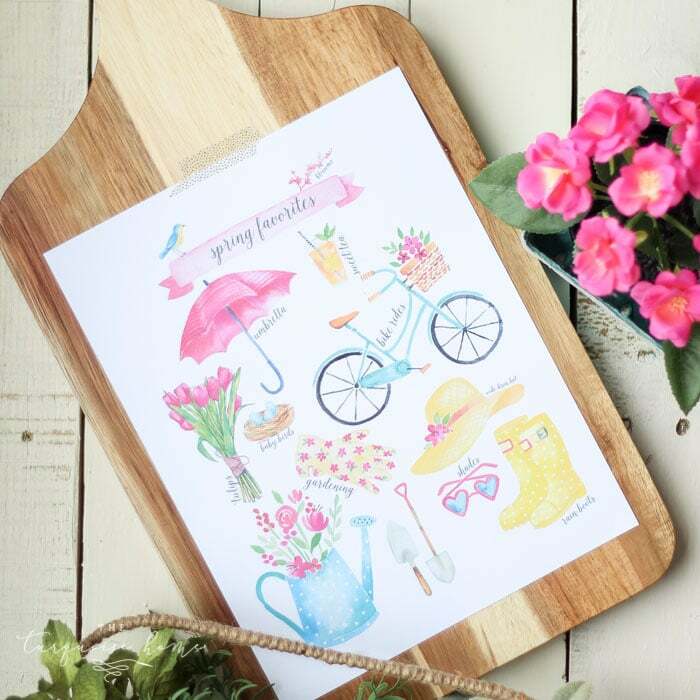 I shared all TEN of my new spring printables right here (click here)! I brought as many flowers in as possible to create a flower market vibe and I kind of love it. The quote on the printable says, “Just living is not enough. One must have sunshine, freedom and a little flower.” – Hans Christian Andersen. Mr. Andersen – I wholeheartedly agree! The smaller print is also one of my free printables I shared (click here). 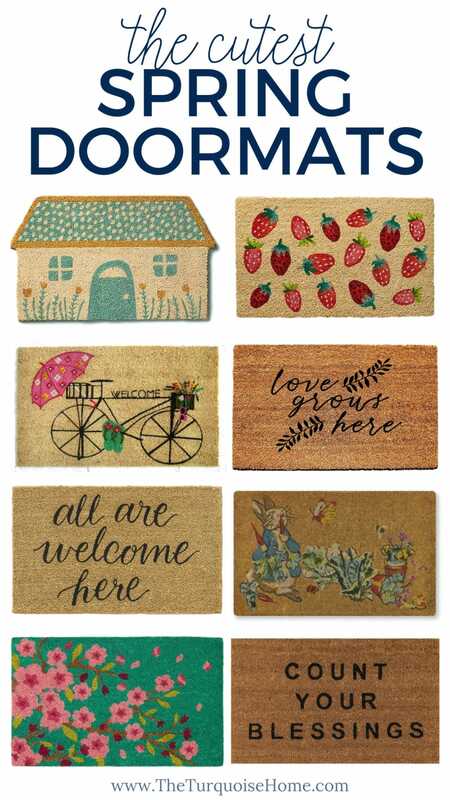 There are 10 in all and more of them in the kitchen, so you’ll definitely want to grab some of these! 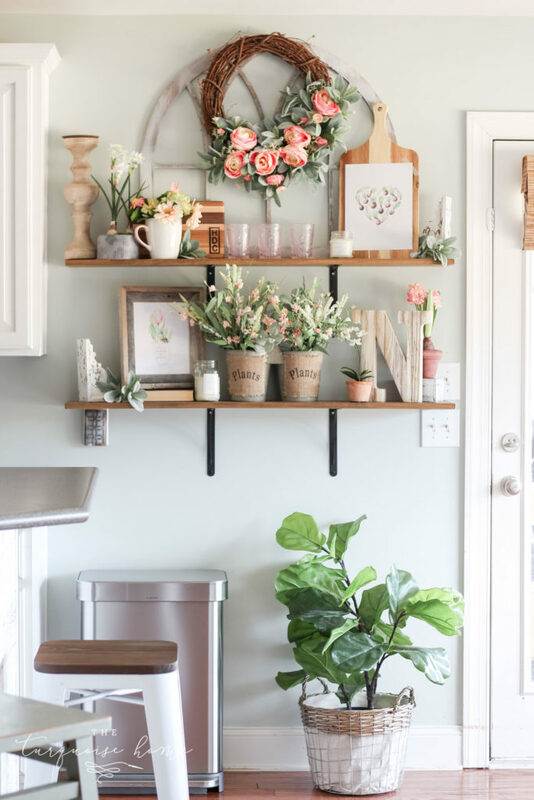 On into the kitchen I grabbed more fauxtanicals and dressed up my open shelves with tons of florals and some more free printables. 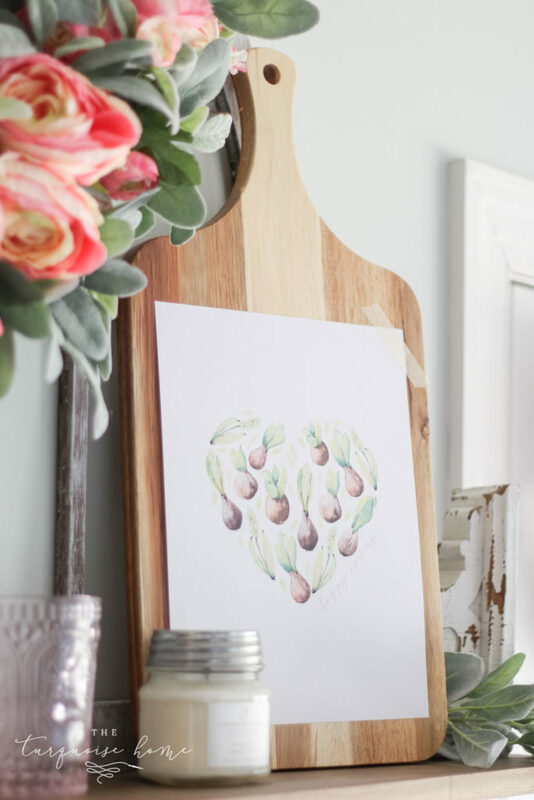 Learn how to make my lamb’s ear & peony wreath here. Here’s a little something funny to note … I never would have taken a photo with my trash can in it before, but we got this new amazing trash can for Christmas and I’m obsessed! It always sits here, so this is what my kitchen looks like normally. 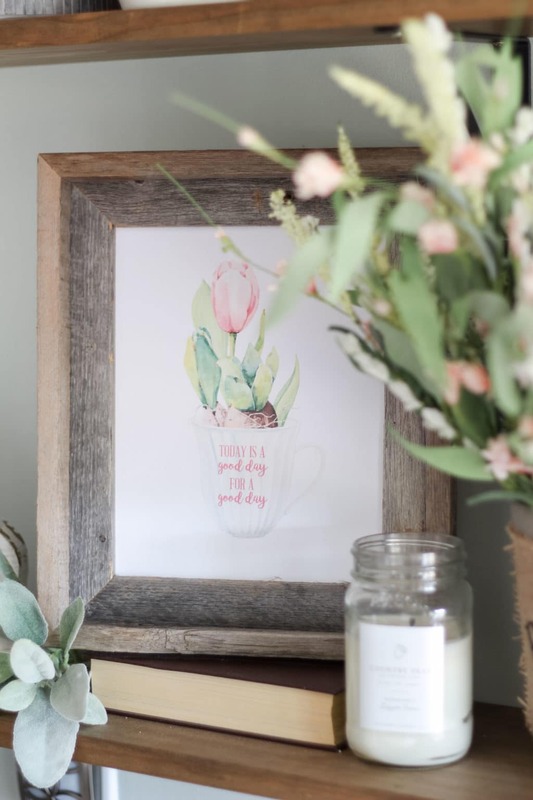 This sweet tulip blossom in a tea cup is another free printable of mine … and this one with the succulent bulbs in the shape of a heart is too! 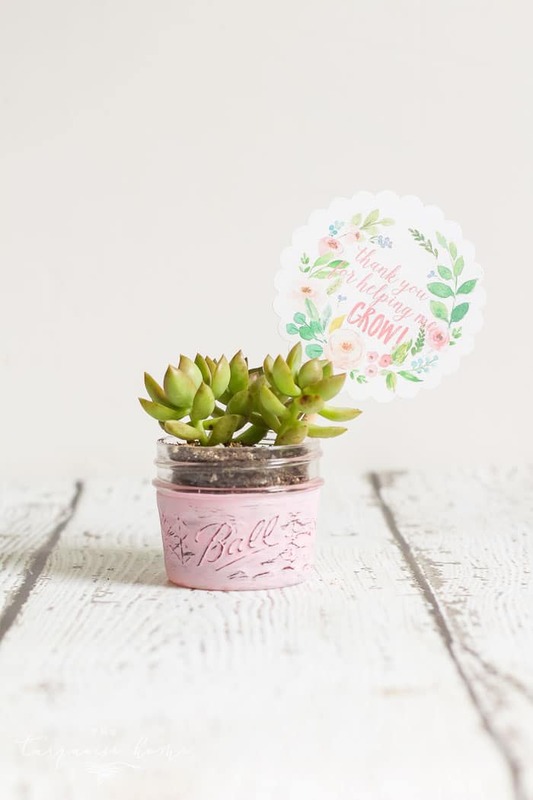 The succulent bulb heart has “happy spring” written down on the right of the heart faintly. Thanks for visiting my home all gussied up for spring! 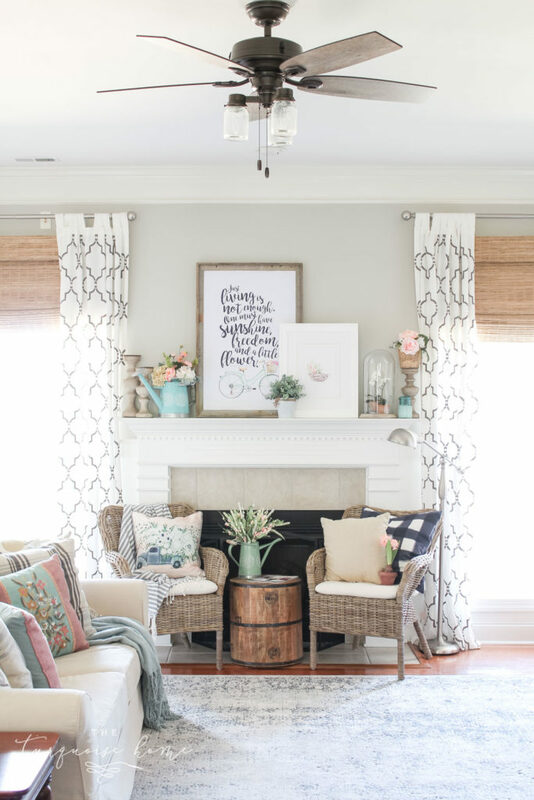 Head on over to Amber’s home to keep moving in the loop. 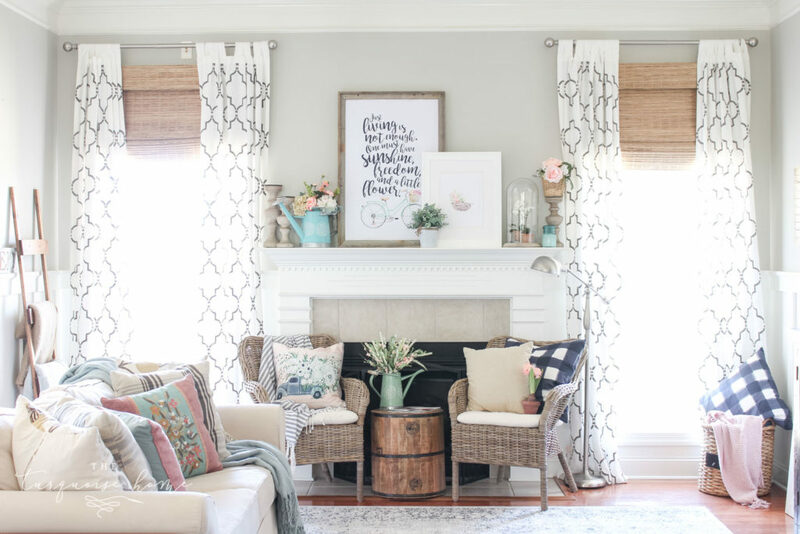 I just love the bright and fresh colors she uses in her home and instagram feed! Her photography is amazing! 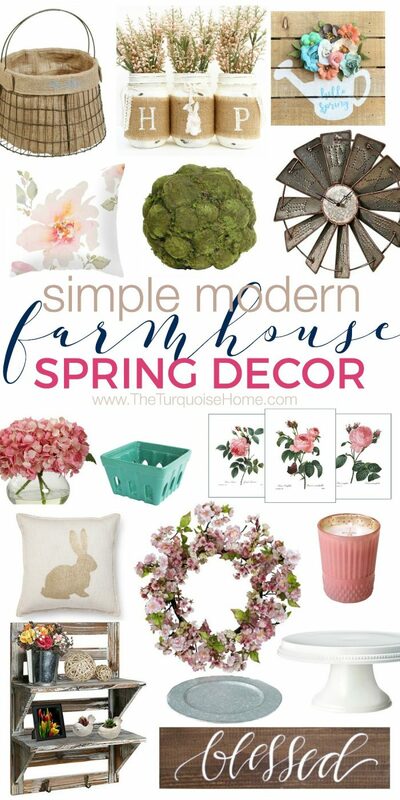 Simple & Modern Farmhouse Spring Decor on a budget! 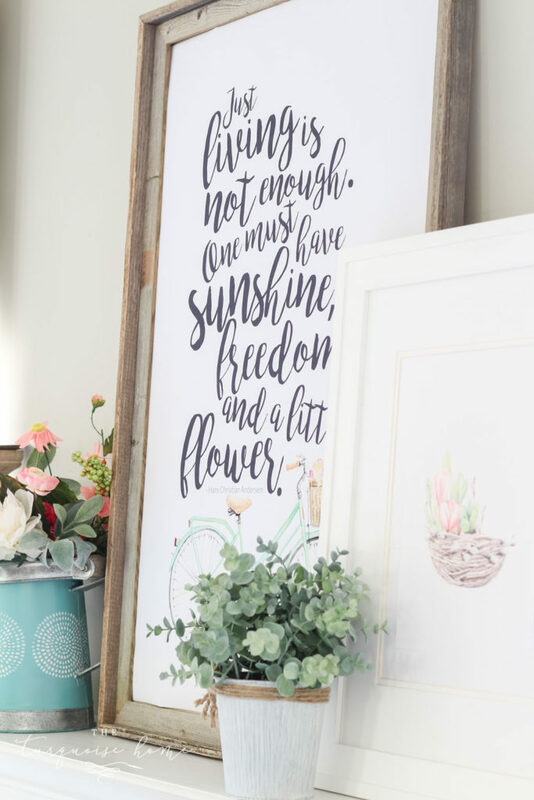 You mentioned that you blew up one of the new spring free pintables into a 24″ x 36″ poster and put it in a frame. Did you have a company print it out to that big of a size ? Like office depot or somewhere that offers printing service? Yes! I used Office Depot this time, but I’ve used Staples in the past as well. Staples will do cheaper colored engineer prints. And at Office Depot it was called a poster, but I used the cheapest paper. Staples is cheaper, but I needed mine in a hurry, so I had to use Office Depot this time! So gorgeous, Laura! 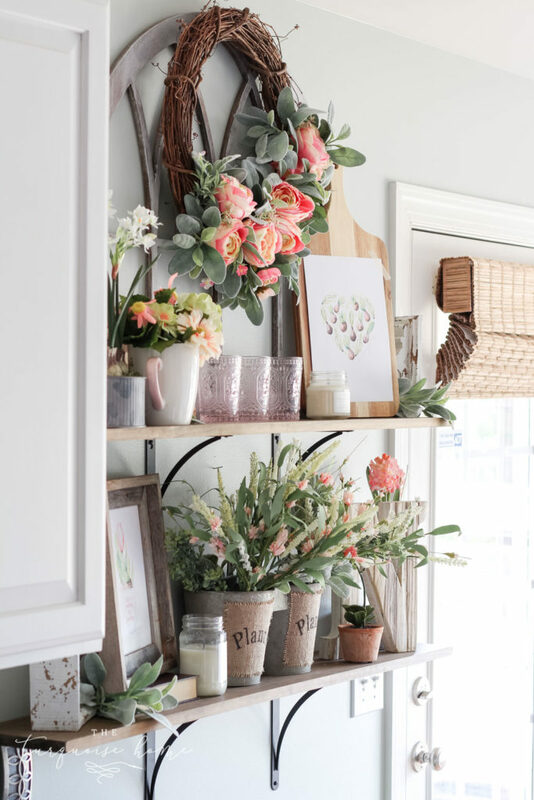 I love every detail and it totally looks like a beautiful flower shop. Such a fun theme for spring. It’s so pretty! Definitely go with all the flowers, they’re gorgeous! They’re the perfect antidote to a long winter! Thanks Jo-Anna! I thought so too, since I’m obsessed with them every year! xo! Beautiful! 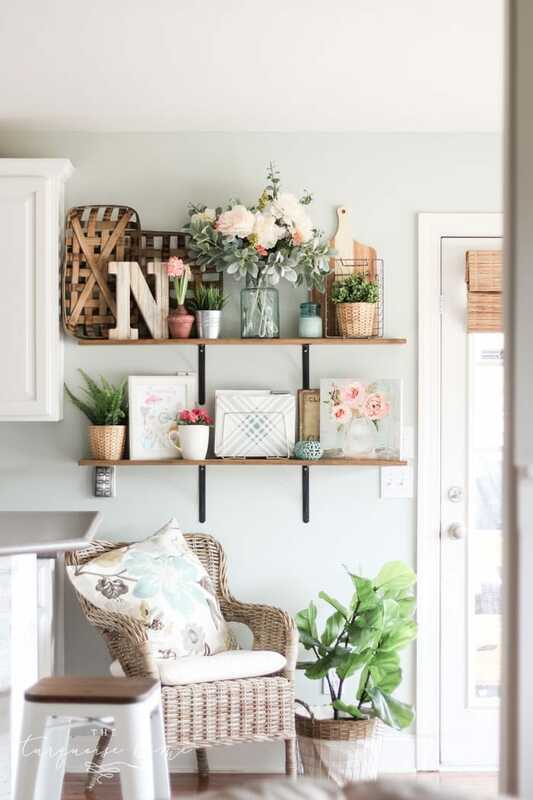 And those wood shelves are gorgeous!!!! I could look at them all day! 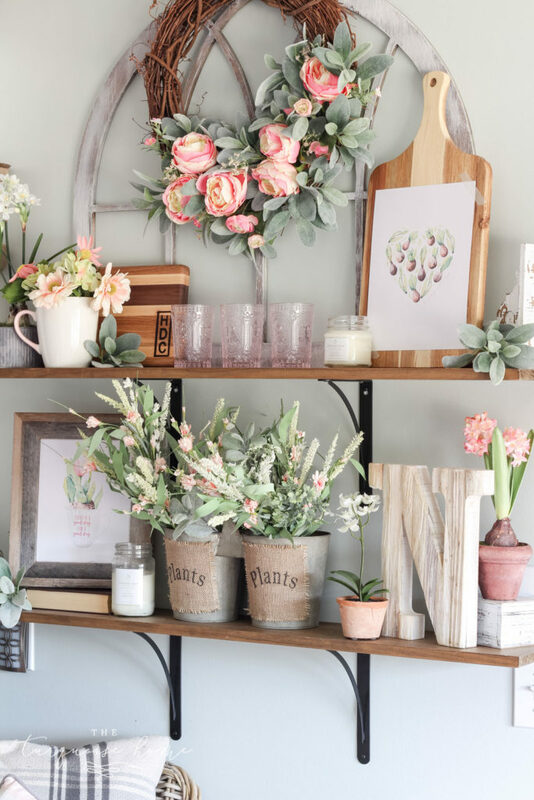 I absolutely adore the flower shop, Laura! What a fun idea! I’ll be pinning that for sure! Gorgeous, Laura! I absolutely adore your soft springy colours and all the flowers and greenery! Perfect for the season! So glad you could join in this week’s hop! Where did you get your living room wicker chairs from again? I searched but can’t find the post. 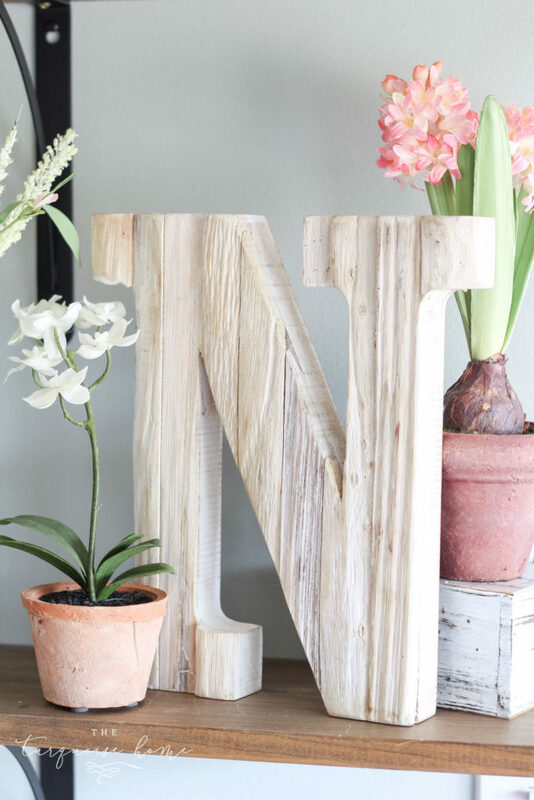 Laura, I love all the pretty blooms throughout your home! A very lovely spring tour!